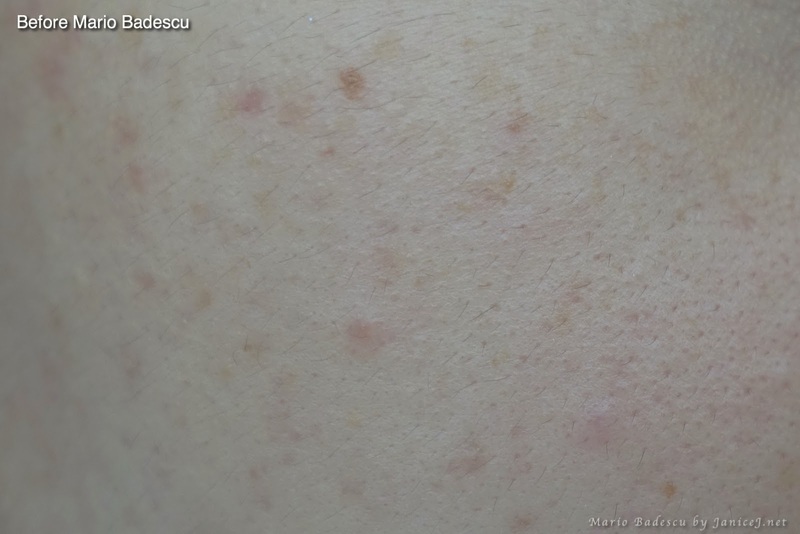 Acne scarring is something that has been bothering me since years ago. 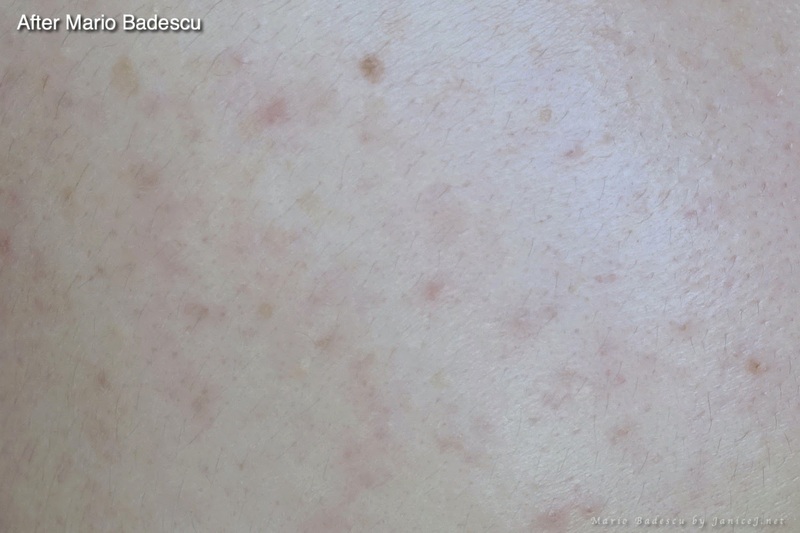 We know what teenage acne brings, and that is not something pleasant to the eye. I have considered laser but I have always heard about how it thins out your skin, or the pigmentation comes out again after a while. 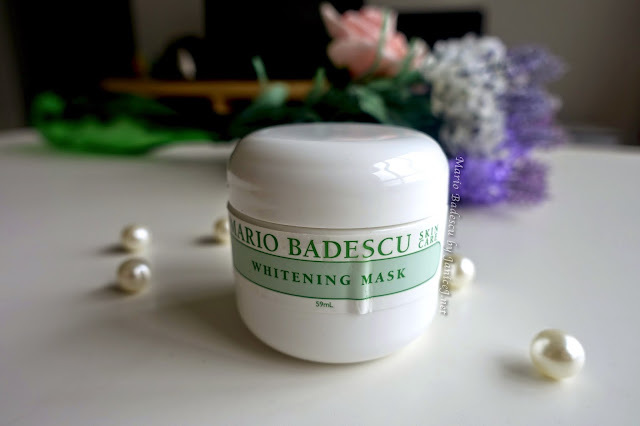 I am really lucky to try out the Whitening Mask and Glycolic Acid Toner from Mario Badescu, to treat my scarring problems. Mario Badescu is a New York brand designed for problem skin, established since 1967. The whitening mask are able to hydrate and brighten uneven skin tones especially for us living in Malaysia here with summer all year long. We know that the sun causes uneven skin tone. It helps to minimise old acne scars (exactly what I need!) and sun discolouration. I used to skip sun block during my primary and secondary school years, and I am so so regret a bout it. I get freckles, and sun spots on the face. It promotes flawless, brighter and youthful skin for every skin type. Both Mario Badescu products I receive is mild with weak % of acids. The whitening mask contains natural ingredients that promote lightening of pigmentations, like kohl acid, liquorice and mulberry. It is safe for erupted acne or even the most sensitive skin as it contains no alpha hydroxy acids. On the other hand, the Glycolic Acids toner are harsh on new acne, as the instruction stated that it should not be used on erupted acne. It contains 2% Glycolic Acid and Grapefruit extract. It exfoliates gently and refreshes skin so that it does not look dull and tired. The glycolic acid toner did surprises me as I thought it will be drying but it is not. I would relates it to the grapefruit extracts. Other than that, it is alcohol free and works really well to remove dead skin cells. Both products have simplest packaging, similar to most dermatology's brands. They are sealed nicely to ensure that the products is fresh and clean. 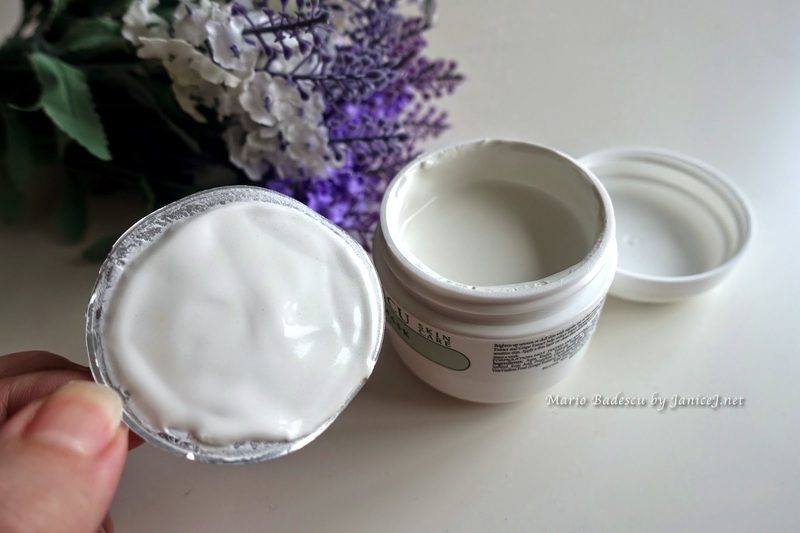 The Whitening Mask is runny in texture similar to yogurt consistency. The clay-like texture might require a few stir to mix it up evenly. There are no harsh smell and it seems that it would not burden the skin too much. On the other hand, the Glycolic Acid has simple plastic bottle where it is squeezable with a special opening. I really love it as you does not need to twist it, just a simple pull and you can dispense the product out. The product texture is similar to water, runny and is in blue-ish colour. It smells great and is free of alcohol like how it claims to be. I focuses on the red box spot of my right side face, and used the Mario Badescu Glycolic Acid for two weeks, day and night with a cotton pad. I wipe the product in outward motion, until there are no more dirty stuffs to be seen on the cotton. Do not go overboard or you will feel tingling sensation on the face. For results and comparison, skip to the end of the post! To further compare, I did the mask on half of my face. It dries quickly and does not really feel tight on the face. Thin layer was applied avoiding the eye area and left for 10 minutes (recommended 5-10 minutes) for 2-3 times per week. 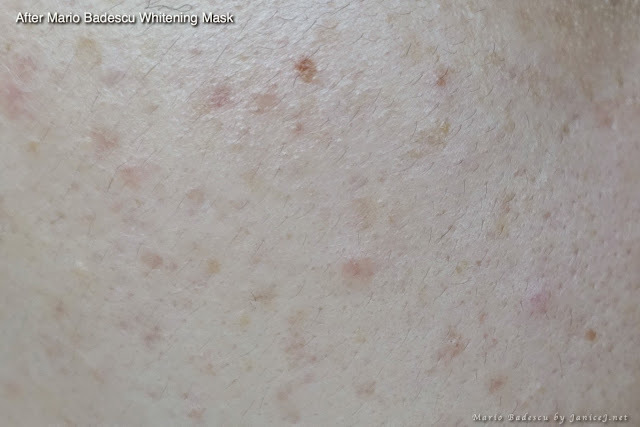 Skin was surprisingly soft and brightened after the mask. Half of the face look less dull and less tired. It leaves slight oily feeling on the face after wash of and I proceeded with the Glycol Acid Toner. In two weeks, I noticed that my skin got smoother and has less small bumps. I believe that this is due to the exfoliating properties of the glycolic acid toner. I noticed that my pores appears smaller as well. 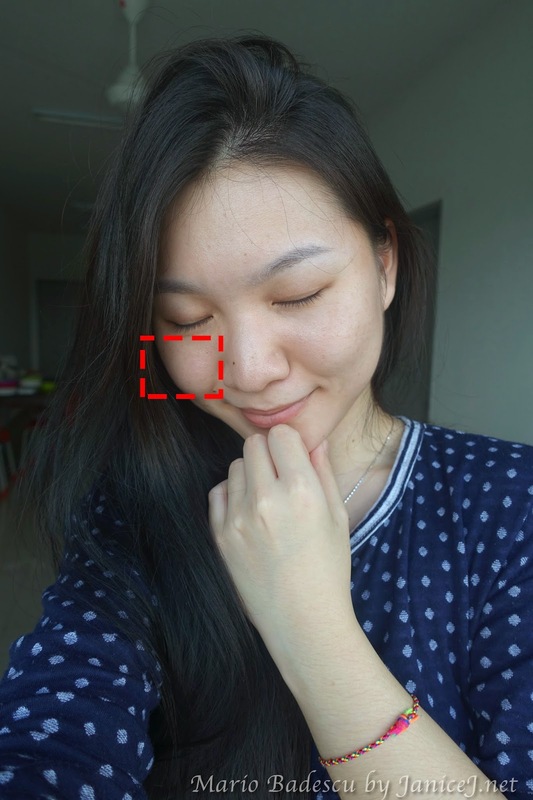 Also, I see instant results like brighter skin after using whitening mask. However, the result is not that obvious for scar lightening. The Glycolic Acid does irritates my new acne and you should never ever ignore the instruction given. If you are really busy and do not have time to exfoliate your face, the glycolic acid is for you. You can get it from Luxuola at RM100 for 8oz (approx 240ml) which will last for quite long! 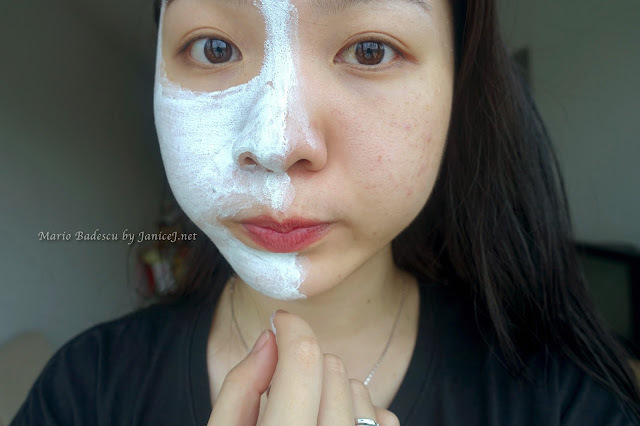 Other than that, use it with the whitening mask RM125 for 59ml. It really does brighten up the face! *Valid until 7 June, 2015. I just can't stop looking at all those positive comments on these products, I shall try it longer and update it if there are any more improvements!